For Halloween, we’re sharing a new Image Universe feature exploring how artists have envisioned the afterlife. 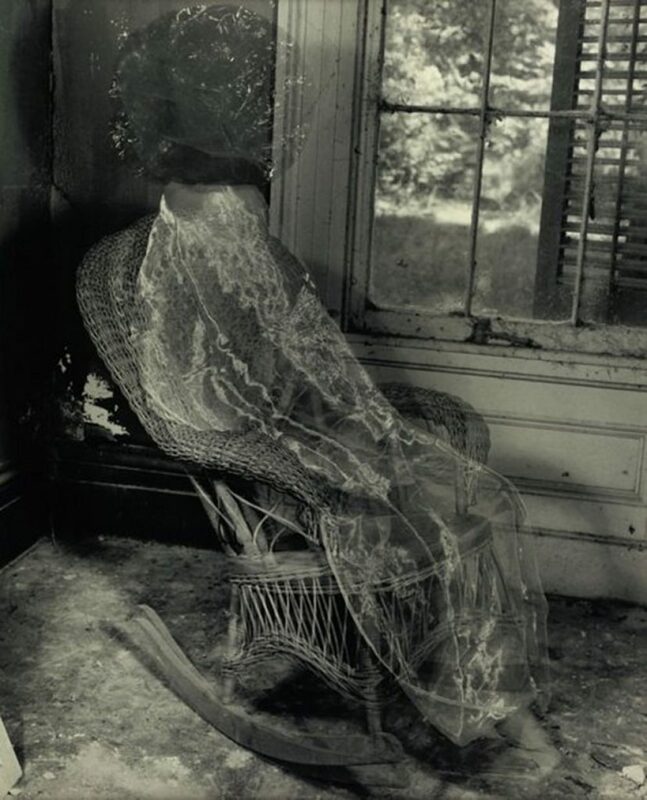 Ghosts have long held a significant place in artists’ reflections of the world—from portions of The Odyssey and One Thousand and One Nights to Wuthering Heights, The Haunting of Hill House, and The Sixth Sense. To get in the spooky spirit, we’re sharing a selection of representations of ghosts and other spectral presences throughout art history. Some of the artworks are allegorical, like Henry Fuseli’s The Nightmare, 1781—an eroticized vision of a sleeping woman being visited by a ghoulish incubus—and Giovanni Martinelli’s Death Comes to the Banquet Table, c. 1630–40, a play on the convention of memento mori paintings, which were intended to remind viewers of their own mortality. 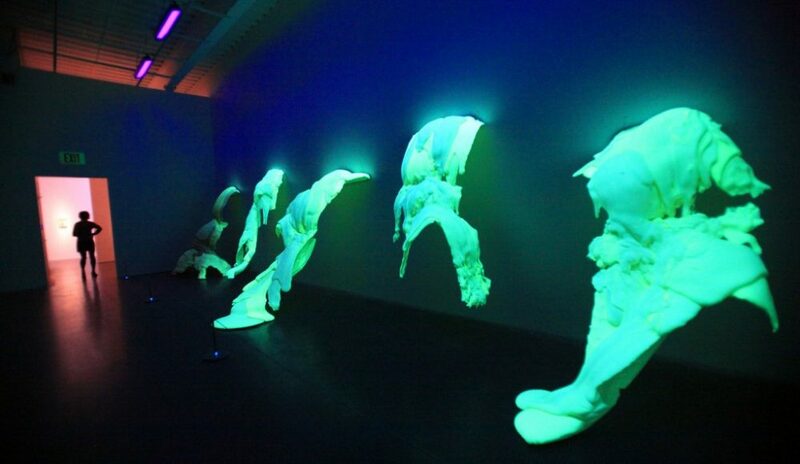 Others are more formal or conceptual in their connections, including Lynda Benglis’ eerily glowing polyurethane “pour” sculptures and Jamie Isenstein’s humorous exploration of how we, as humans, have depicted ghostly figures. We’ve also included some pop-culture phantoms with an affinity for art: soon-to-be-dead Sam Wheat played by Patrick Swayze in the infamous pottery-wheel scene from director Jerry Zucker’s Ghost (1990) and the demon inhabiting an antique mirror in director Mike Flanagan’s Oculus (2013). 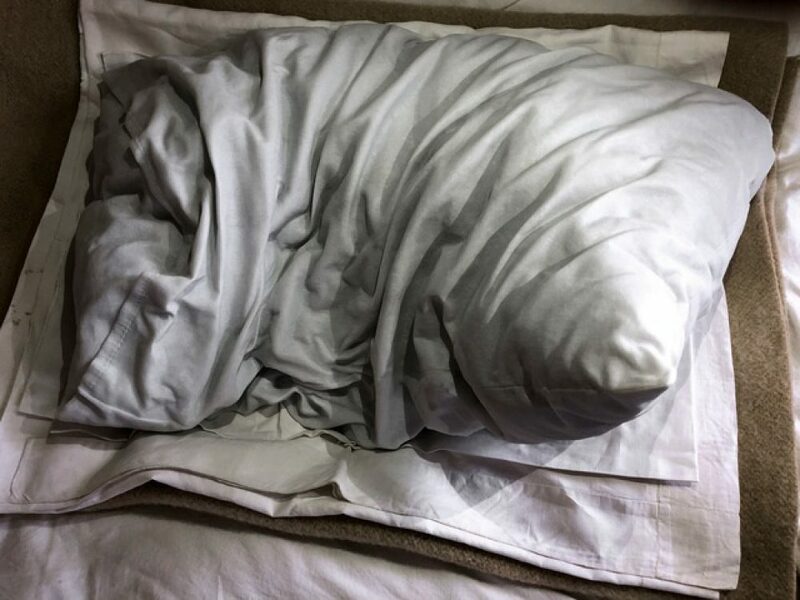 Though we’ll likely never agree on what exactly a ghost looks like, or whether they are in fact real, it’s a safe bet that artists will continue attempting to envision life after death in all its unknown possibilities. 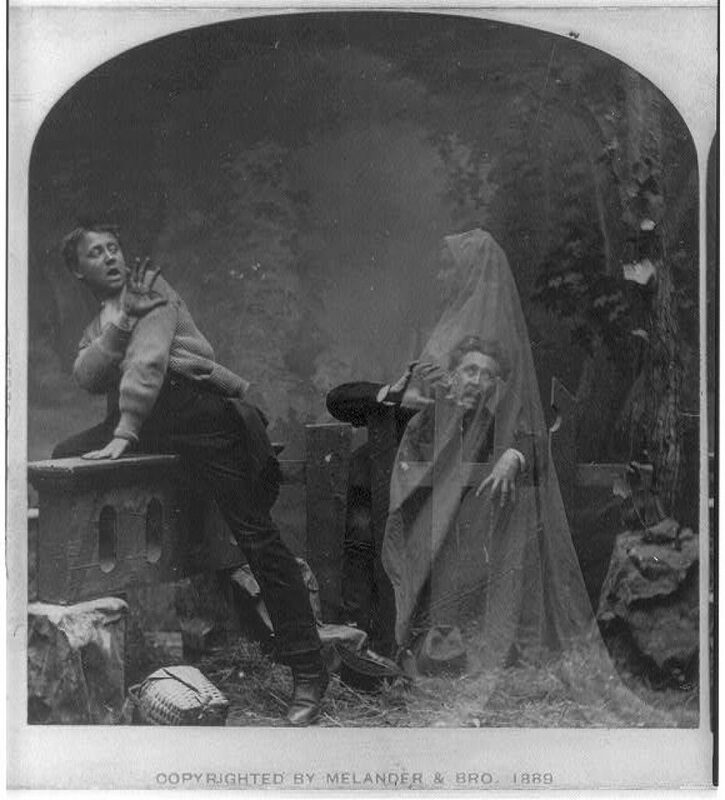 Melander & Bro, The Haunted Lane, c. 1889. Stereograph. Collection of the Library of Congress, Washington, DC. 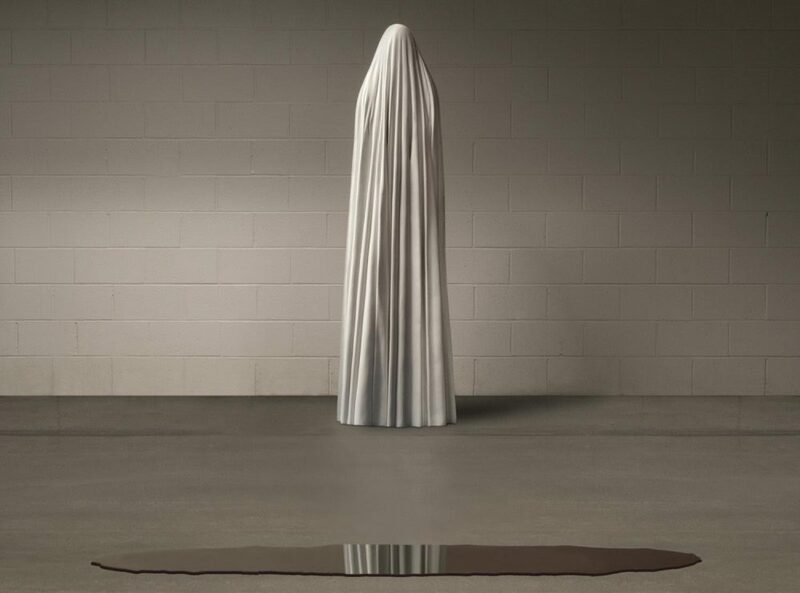 Katharina Fritsch, Ghost and Pool of Blood, 1988. Painted polyester and lacquered Plexiglas. Courtesy the artist and Matthew Marks Gallery, New York. Collection of the Philadelphia Museum of Art. Meg Cranston, Swamiji, 2015. Acrylic and collage on paper. Courtesy the artist and Meliksetian | Briggs, Los Angeles. Image via Artsy. 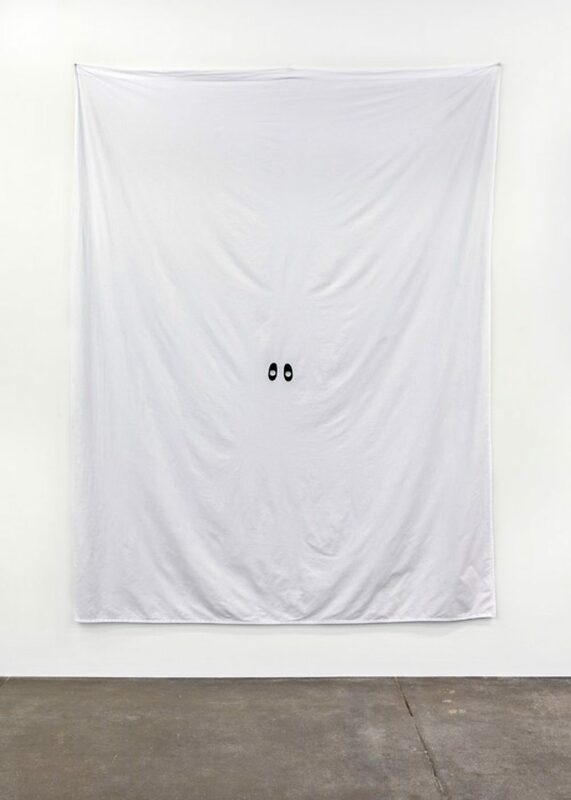 Jamie Isenstein, Ghost Clothes, 2014. Bed sheet and acrylic paint. 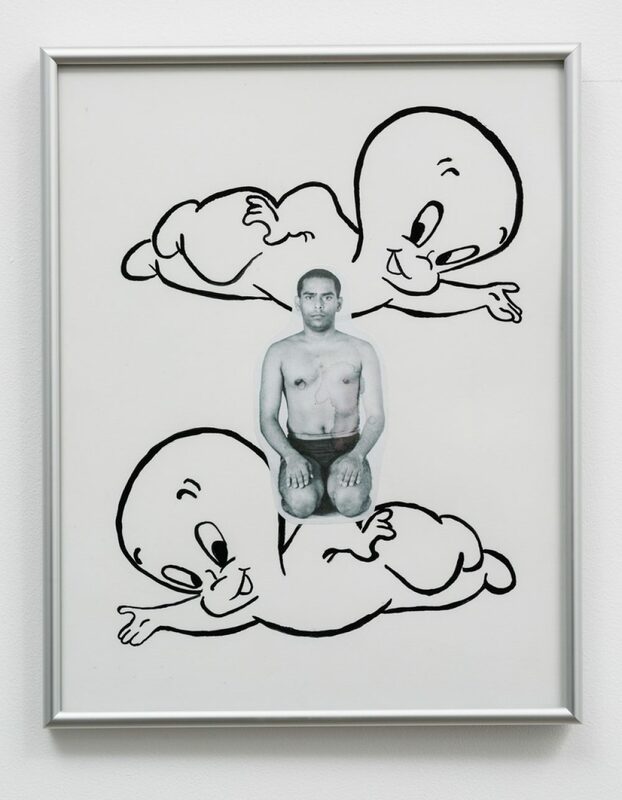 Courtesy the artist and Andrew Kreps Gallery, New York. 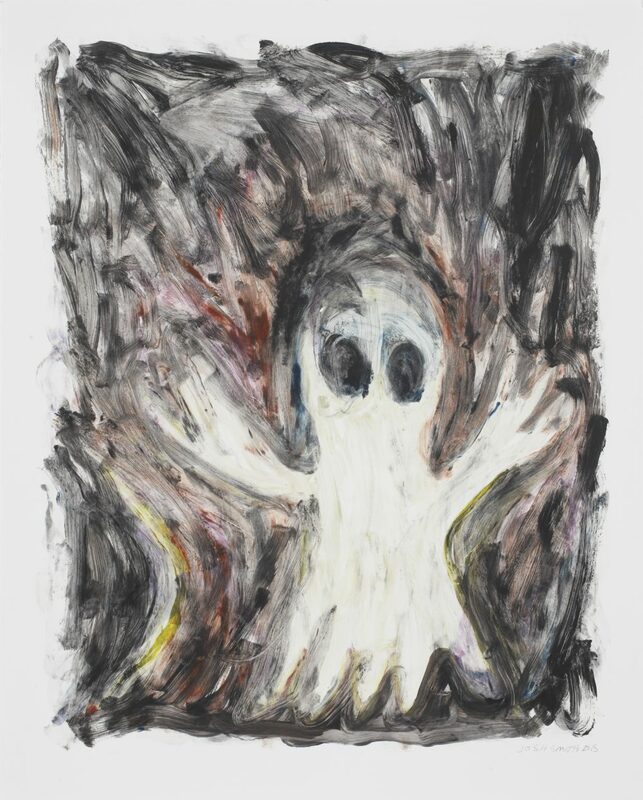 Josh Smith, Ghost, 2015. Monotype. Courtesy the artist and Galerie Eva Presenhuber, Zurich and New York. Image via Artsy. An excerpt from director Jerry Zucker’s Ghost (1990). 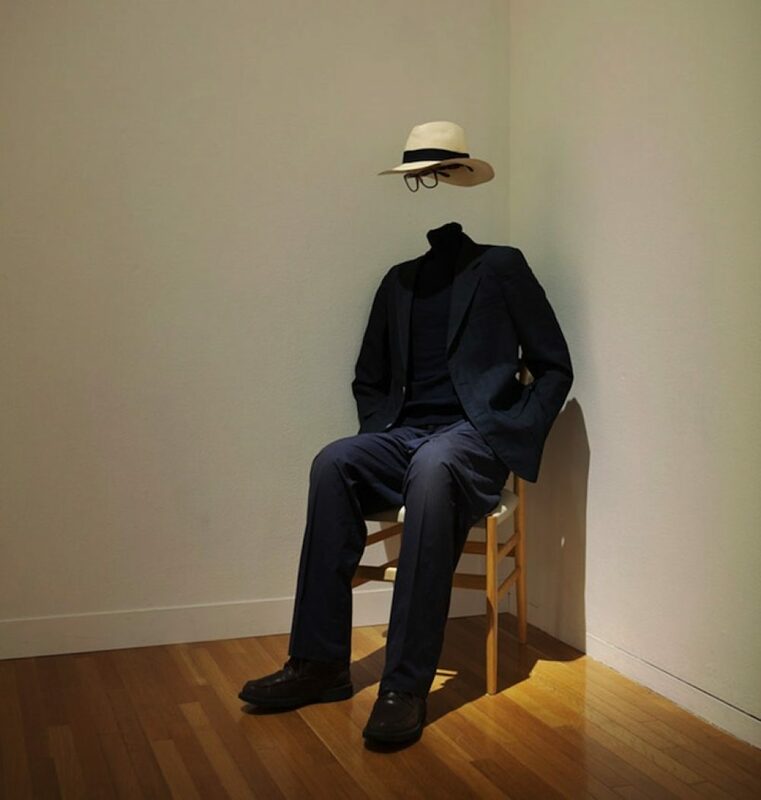 Javier Pérez, Nightmares: Haunted, 2018. Carrara marble. Courtesy the artist and Keteleer Gallery, Antwerp. Image via Artsy. Henry Fuseli, The Nightmare, 1781. Oil on canvas. Collection of the Detroit Institute of Arts. 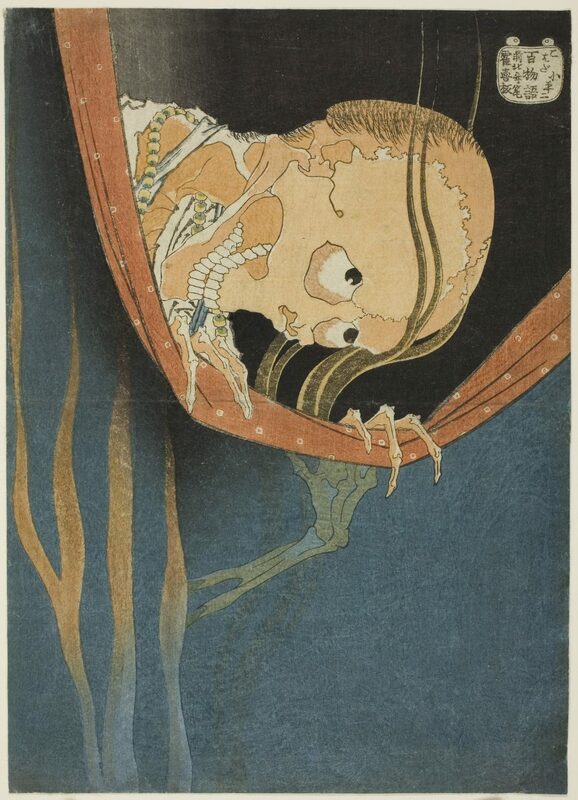 Katsushika Hokusai, Kohada Koheiji, from the series One Hundred Ghost Tales, 1826–36. Color woodblock print. Collection of the Art Institute of Chicago. 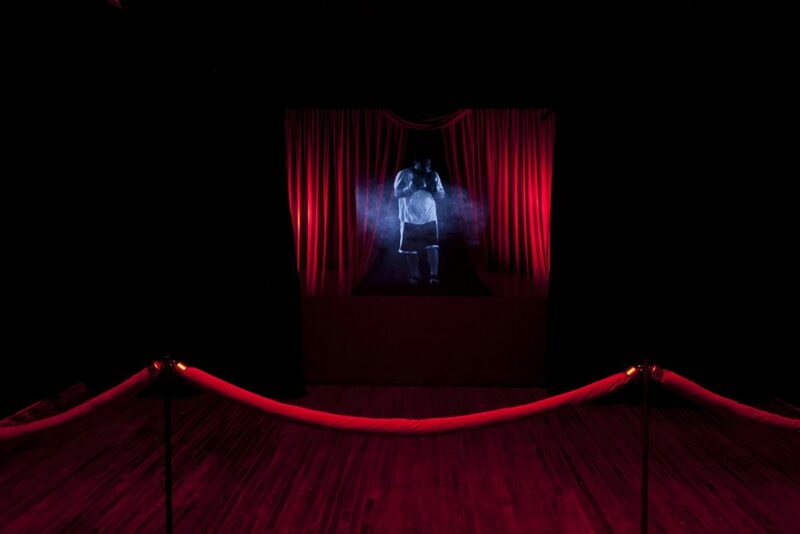 Carrie Mae Weems, Lincoln, Lonnie, and Me—A Story in 5 Parts, 2012. Mixed-media video installation. Courtesy the artist and Jack Shainman Gallery, New York. Image via Culture Type. 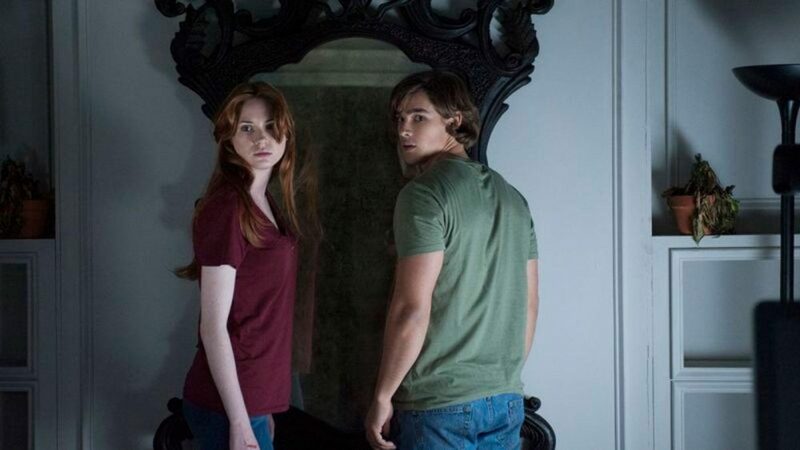 A still from director Mike Flanagan’s Oculus (2013). 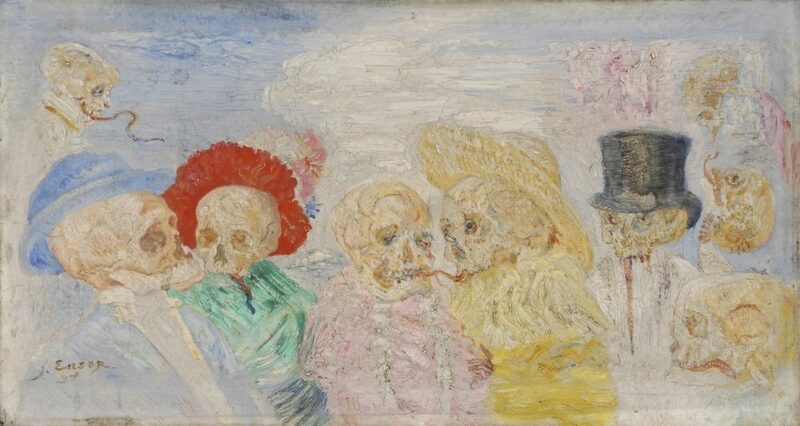 James Ensor, Skeletons in Disguise, 1894. Oil on canvas. Collection of the Phoebus Foundation, Antwerp. Installation view of Torafu Architects’ Haunted Play House at the Museum of Contemporary Art Tokyo. Image via My Modern Met. Clarence John Laughlin, The House of the Past, 1947. Gelatin silver print. Collection of the Los Angeles County Museum of Art. 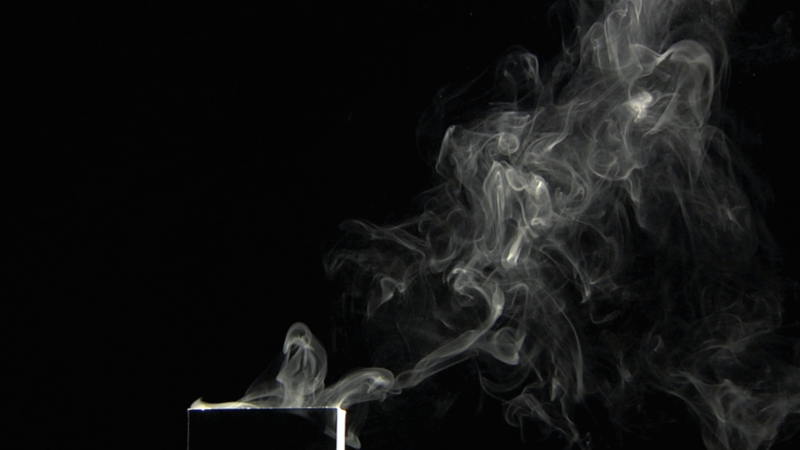 A still from Spring Hurlbut’s Sum Fong, 2008–15. Single-channel video. Courtesy the artist. Image via the artist’s website. LYNDA BENGLIS, PHANTOM, 1971. POLYURETHANE FOAM WITH PHOSPHORESCENT PIGMENTS. COURTESY THE ARTIST AND CHEIM & READ, NEW YORK. Photo by Suzanne DeChillo. Image via the New York Times. 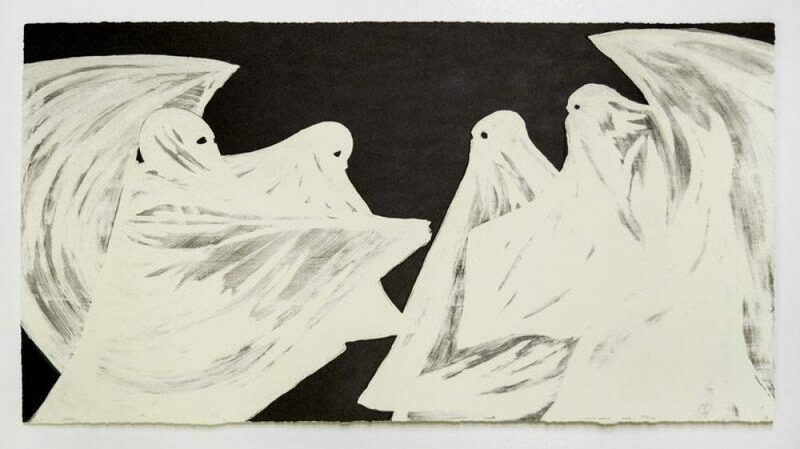 Marcel Dzama, Scared of His Own Ghost, 2008. Lithograph with photoluminescent pigment. Courtesy the artist and David Zwirner, New York. Image via Artspace. 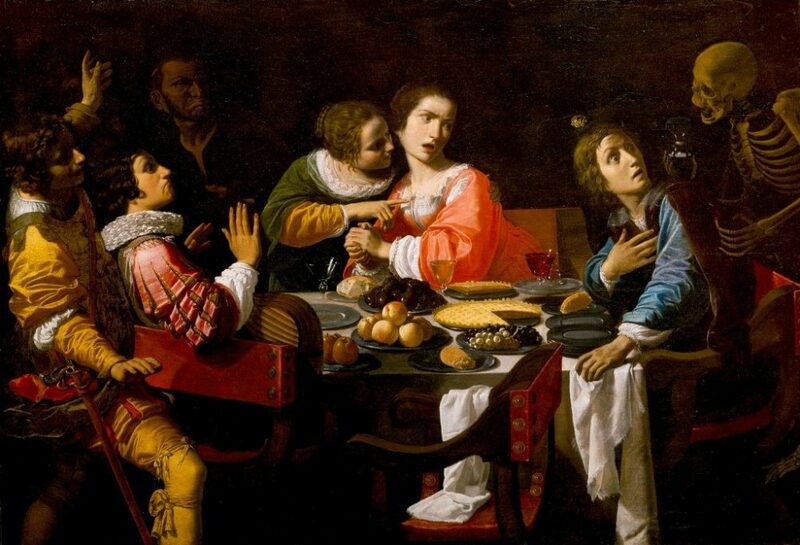 Giovanni Martinelli, Death Comes to the Banquet Table, c. 1630–40. Oil on canvas. Collection of the New Orleans Museum of Art.